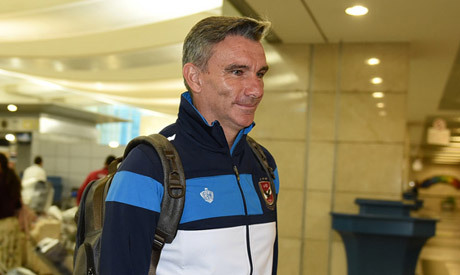 Ahly players need to have focus and concentrate to achieve a positive result against Guinea’s Horoya FC in the African Champions League, according to their coach Patrice Carteron, who reiterated his desire to bring the prestigious trophy back to the Cairo giants after a five-year absence. Ahly will be hosted by the Guinean team on Friday in the first leg of the prestigious tournament’s quarterfinals, while the return leg will be played in Cairo eight days later. "Horoya's match won't be an easy confrontation at all," the coach was quoted as saying by Ahly's official website on Wednesday. After losing in last year’s final, the Cairo giants are hoping to claim their ninth African title and first since 2013.